Amy Reynolds set the box of canned goods on the kitchen counter. She caught her breath and stared through the doorway into their empty dining room. Hundreds of boxes still needed unpacking. She brushed away loose strands of her auburn hair that had escaped from her ponytail. A dog barked in the distance, and her small Jack Russell terrier, Darby, raced through the downstairs and stood with her paws on the windowsill to survey her new territory and see what she was missing. Amy gently tapped on the window, sending Darby off to check the view from the living room. Something looked odd to Amy under the window. Leaning over, she ran her hand across the painted baseboard. One end jutted out too far from the wall. She sighed. Another thing in this house that would need to be fixed. Amy pushed the baseboard back in place, and the wood shifted. She tugged at the corner, and it separated easily from the wall. Flipping it over in her hand, she noticed there were no nails or tacks. Darby must have knocked it loose when she jumped up to see out the window. Amy smiled at the sappy clichés in the notes. The last item in the stack was a creased white envelope. She felt something other than paper inside. She tipped the envelope, and a gold locket and a chain slid out on her palm. The back had “S+R 4EVER” inscribed in loopy script. Amy turned it over and opened the charm. Sand spilled into her hand. She brushed it back in the envelope and dropped the locket inside. What did the sand signify? Some exotic beach trip? She tossed the packet on the counter with the piece of wood. She’d have to remember to tell Kevin about them when he got home from work. Amy returned to unpacking the stacks of boxes in the kitchen while Darby kept watch in the front room for joggers, squirrels, or anything that moved within a hundred feet of the front door. 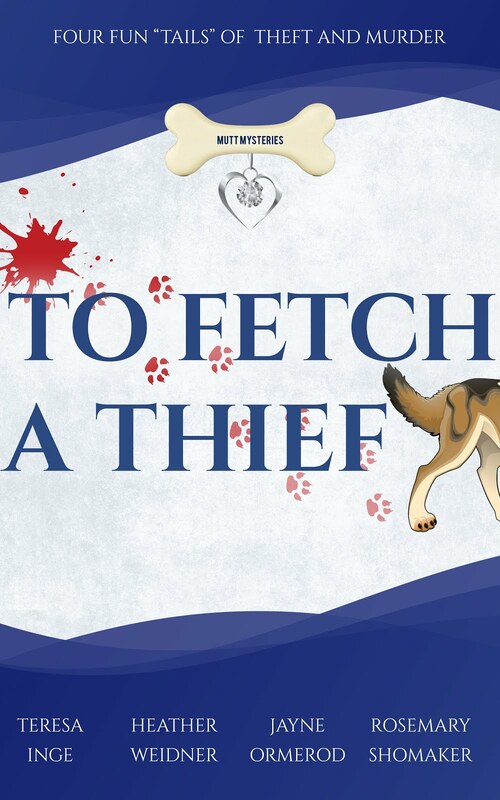 BUY YOUR COPY OF TO FETCH A THIEF TO FIND OTHER SECRETS ARE WAITING TO BE FOUND IN AMY AND HER DOG DARBY'S NEW HOME!